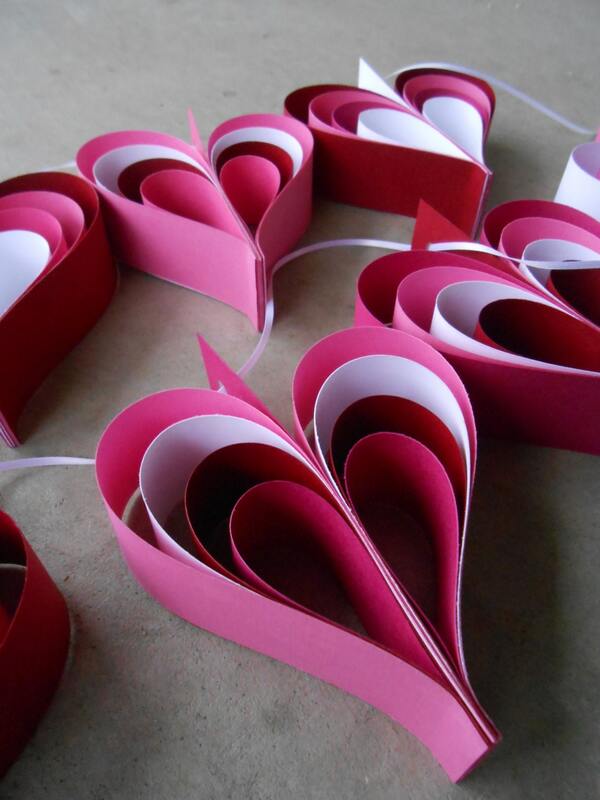 TWO Garlands Of Red, Pink, & White HEARTS. 10 Hearts. 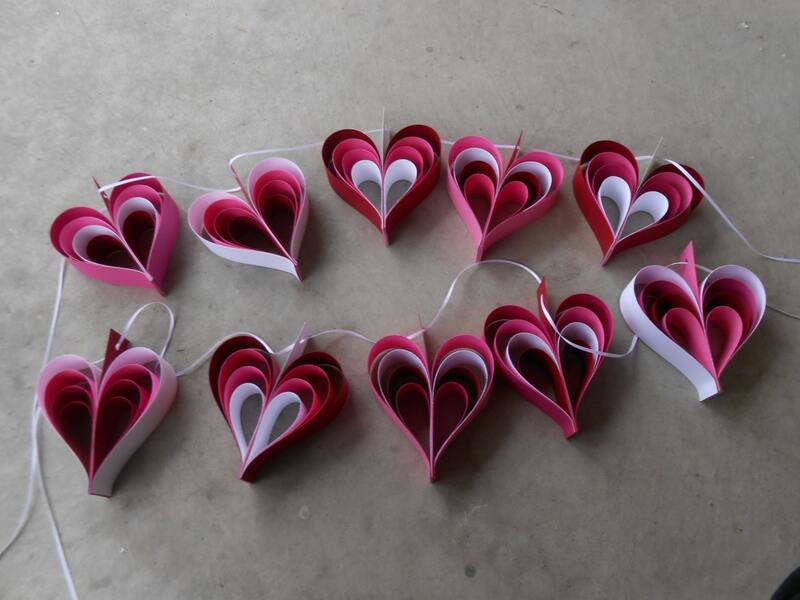 Wedding, Shower Decoration, Home Decor. Custom Orders Welcome. Any Color Available. These cute garlands are just the thing to decorate any wedding, shower, or event. This set has a dark red, three shades of pink, and white. Or use them to decorate a child's bedroom. Or an office. They make great gifts too! 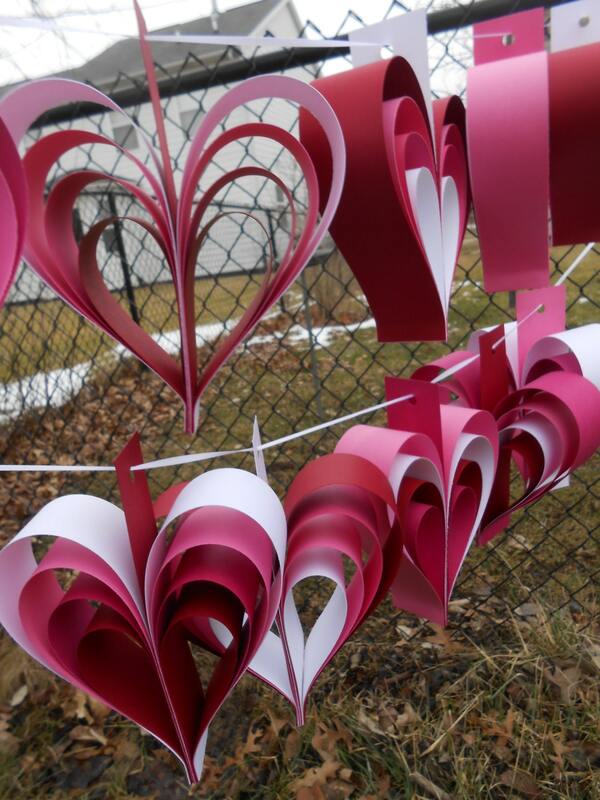 This listing is for two strings of layered hearts. There are 5 hearts on each strand. 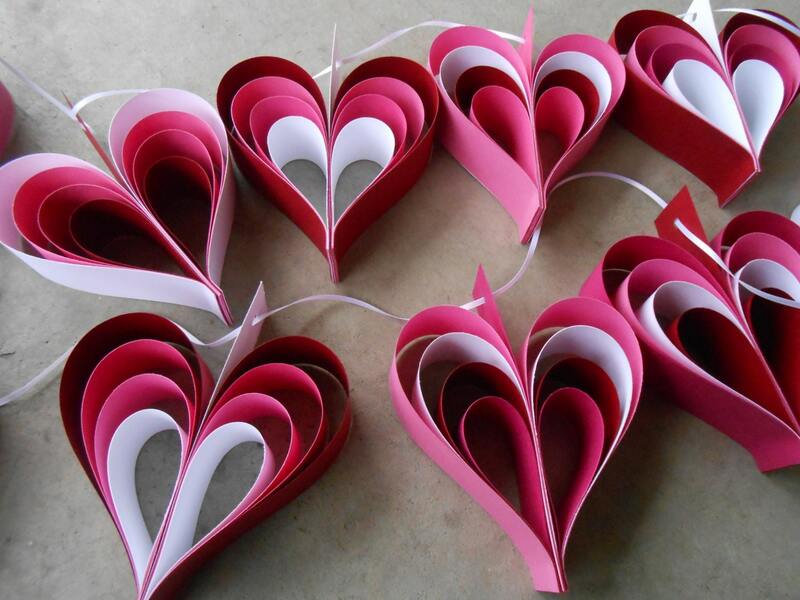 The hearts are punched with a hole and hung on a long ribbon. Each heart measures about 5 x 5 inches and is 1.5" deep. You can clump them together or space them out on the ribbon. 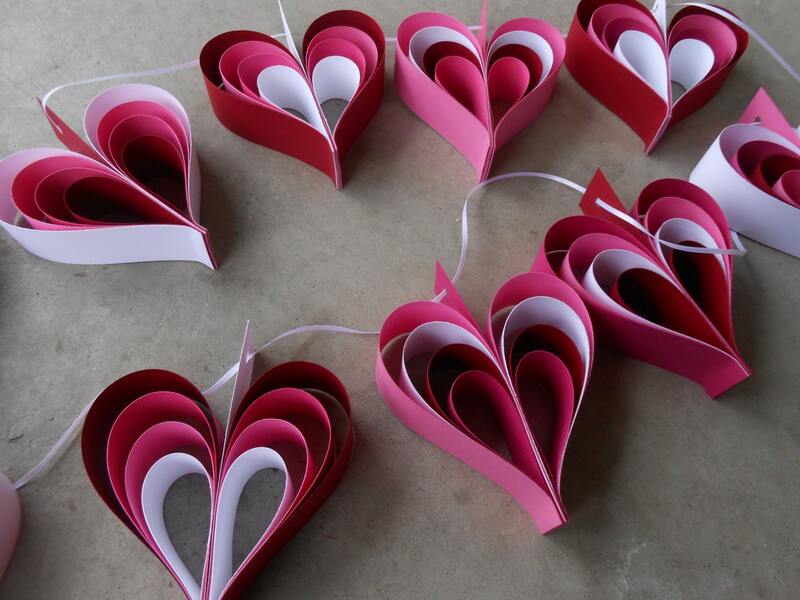 NOTE: Your hearts will not have staples at the bottoms! I decided that the staples ruin the whole effect. :) I just use glue now. It works great!